Clearly, I've just finished my unit on exponentials and logarithms (based upon the fact that I've continuously posted about activities I've done with my class). To start the unit, I always begin with graphing and the conversion between the two different forms (Snail Method). Typically, the kids have an easy time with the exponentials (side from a few who can't get over the fact that they aren't graphing lines) but struggle with the logs. 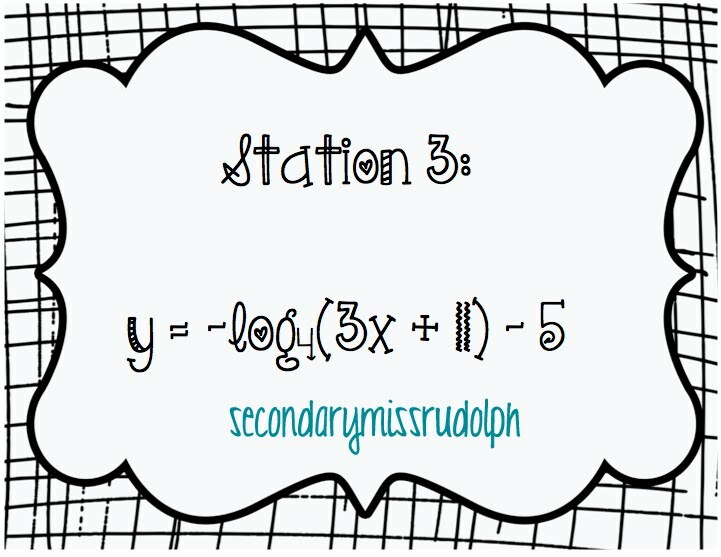 With logs, I explain that they must find their asymptotes and then convert the log into exponential form to plug in for y and solve for x. Eventually, they get the hang of it and then understand more so how the two functions are inverses of one another. If I still taught inverses, I'd engage in more of the conversation of how functions who are inverses swap their x and y values thus why we can utilize this logic (now a precalc topic). As you can see, there are 6 stations, each with a different function. 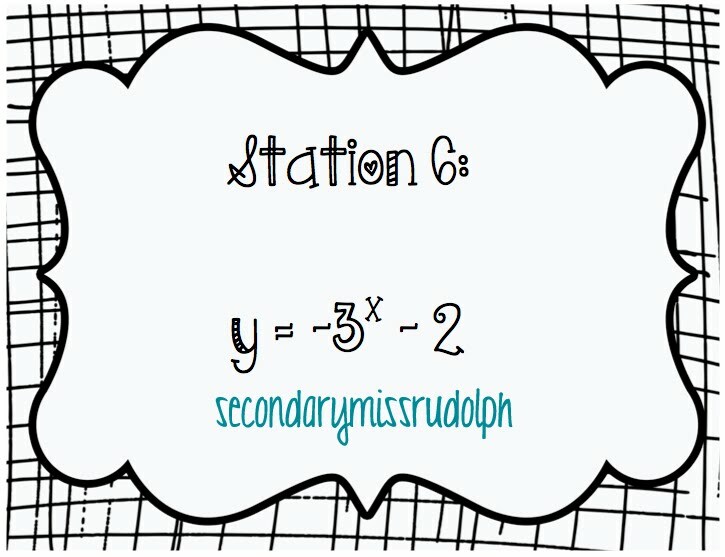 At each station, the kids must graph the function showing their x/y table with domain/range. After 25 minutes, we talked about two of their difficult stations. This was then turned in as an Exit Ticket.